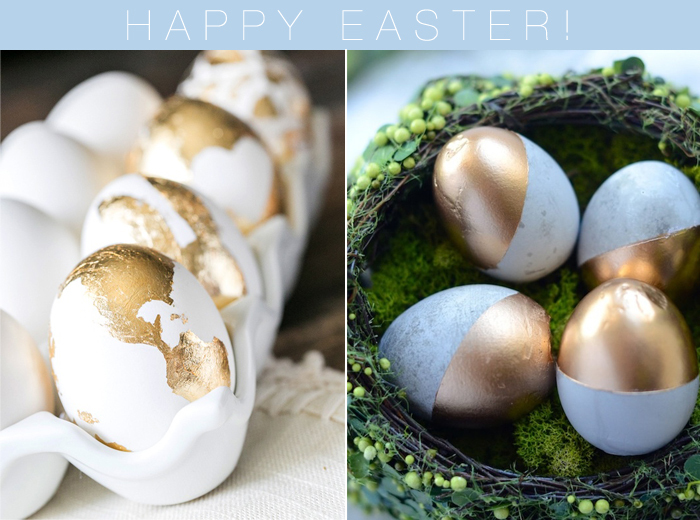 Anyway, back to the Easter holiday – I found these pretty decorative eggs on Pinterest last night and had to share. Gold does seem to make everything a little better, don’t you agree? Hope you all have a wonderful weekend and see you back here Monday! Can’t wait to hear the blog news! Happy Easter to you as well! Those eggs are adorable, and can’t wait till Monday to see what you’re doing next!